I recently had the honor of working with five-time Grammy Award winning hip hop artist Stra-Da-Gee. I consulted on the lyrics for his new song “Strat Plan” which describes the follies of strategic planning. 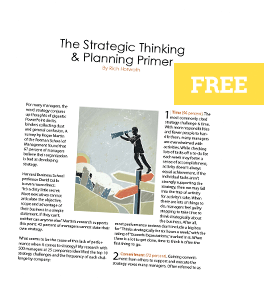 Take a listen to the rap below and see how many of the strategic planning traps your organization has fallen into in the past.